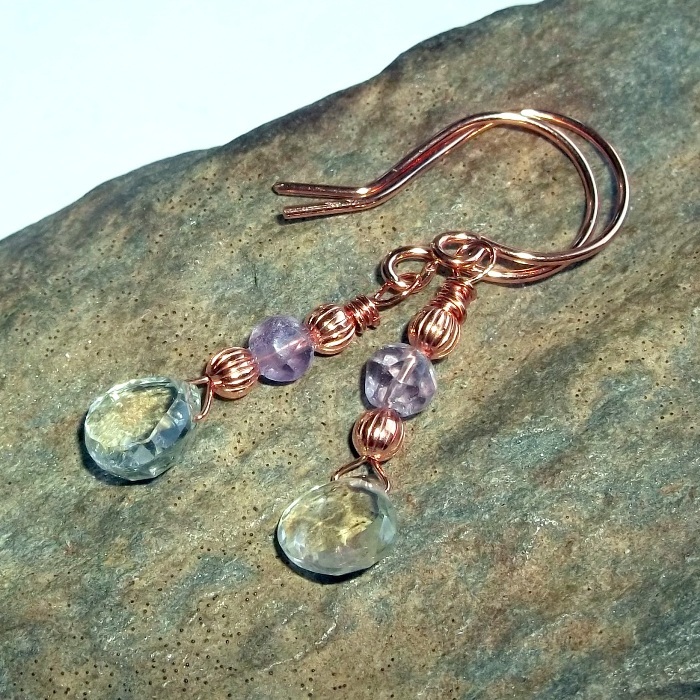 Green and purple amethyst gemstones set on handcrafted, hammered copper earrings. 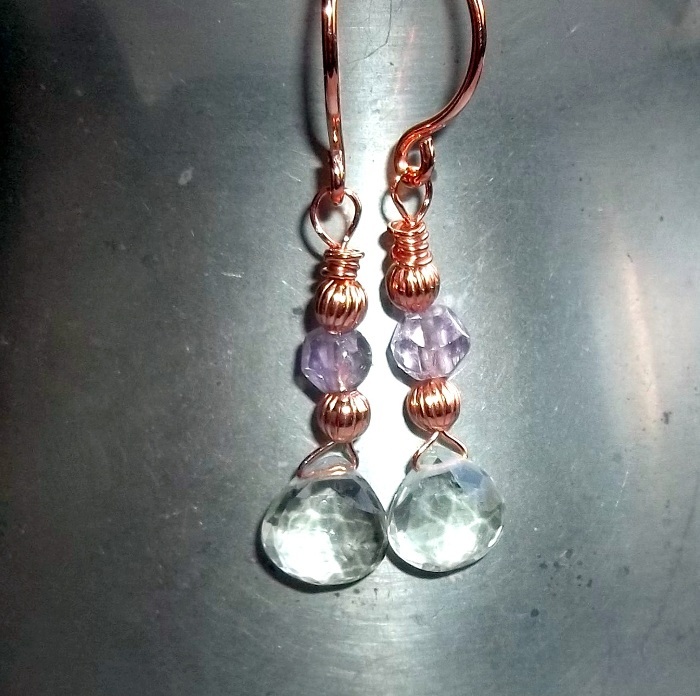 Amethyst gemstones are associated with the crown chakra and wind elements. Amethyst is beneficial for protection, purification, and release of addictions. Amethyst is excellent for enhancing your environment and releasing you from damaging behavior. 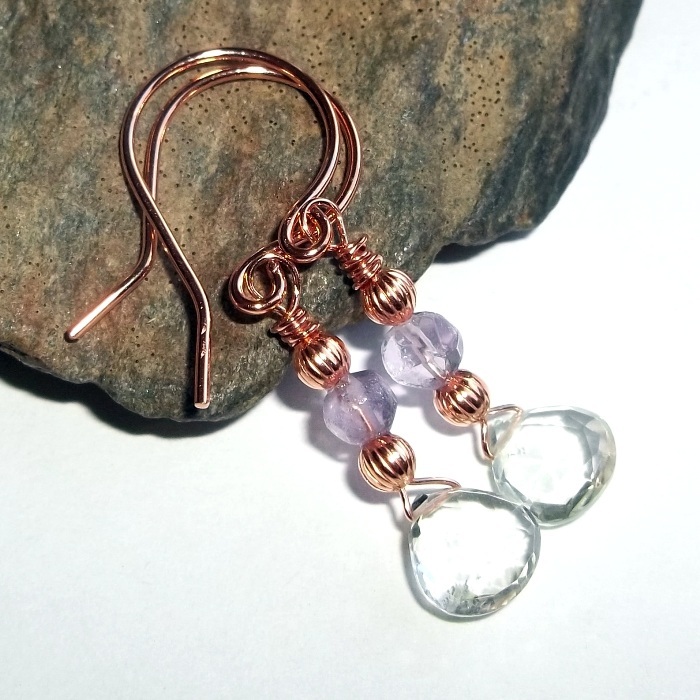 Amethyst gemstones are eye flawless faceted pale green teardrops, 8 mm x 8 mm with pale purple faceted amethyst rounds set above them. 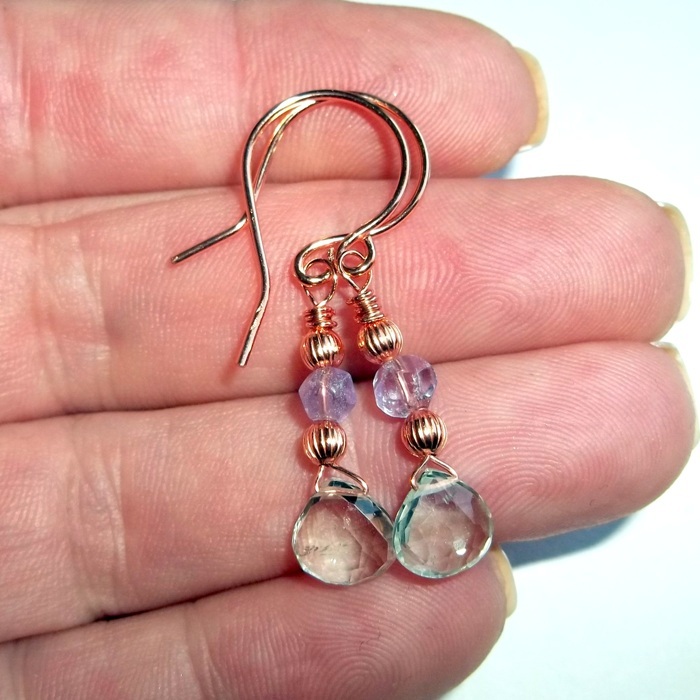 Copper ear wires have been shaped, hammered, and tumbled for strength and shine. Total length approximately 1 1/2 inches.